The lure of a cruise holiday can be hard to resist; the freedom, gorgeous weather and undeniable luxury can be tempting for some. Others might not be so swayed by the charms of cruising and may need some convincing. Whether it’s your partner, family or friends, some people might be more reluctant to give cruising a try for a number of reasons. Price, over-crowding and lack of variety are all perceived problems those resistant to the idea of cruising have. Here, we’ll help to dispel some of the notions surrounding the cruise-averse amongst holidaymakers, along with some of the best ships and itineraries that will help to sway the sceptics. A classic amongst those hesitant to cruise is the old chestnut of expense, and while the bottom line might look pricey, the fact is that a cruise holiday ends up being cheaper than a lot of land-based getaways. 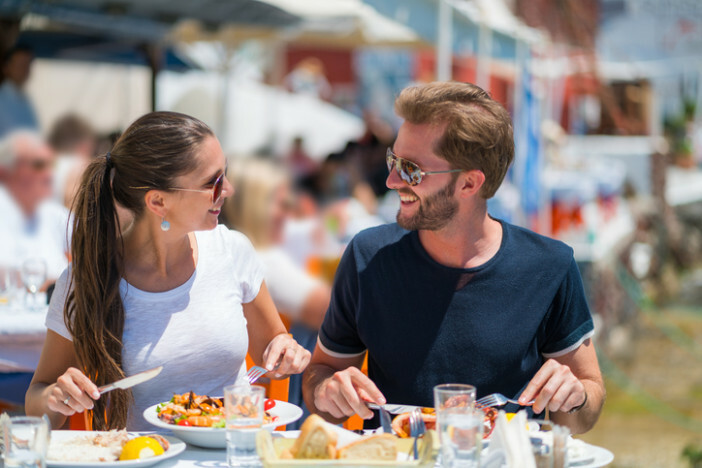 More often than not, the things you wouldn’t give a second thought to on a regular holiday, such as dining out, drinks, entertainment and lodging are all taken care of on a cruise. You might need to shop around, but some canny investigation can land you an absolute bargain. With guests in the thousands, it’s easy to think that the ship will be over-crowded, filled with hordes of people. The truth is, cruise ships have always got their guest-to-space ratio sorted; the ships are simply so big that there’s always plenty of private areas to find. There are areas that are likely to get more crowded than others, but some cruise ships will have adults-only areas where the crowds are a lot sparser. Naysayers may try to worm their way out of cruising with the seasick card. However, modern cruise ships are designed to be as safe and stable as possible, and they’ll always endeavour to avoid stormy weather when they can. Alongside the stabilisers they’re equipped with to keep them from rocking, there are plenty of seasickness pills, patches and remedies that are widely available and well worth bringing with you. If they’re susceptible to motion sickness, then it may be a problem. But rest assured, the ship isn’t going to be rocking from side to side the whole time it’s moving. This one is just plain wrong. Nowadays, there’s so much variety onboard cruise ships you probably won’t even eat at the same restaurant twice during your time at sea. With a plethora of cuisines and eateries to choose from, the modern cruise line caters to almost everyone, including those with any dietary restrictions. With world-renowned and celebrity chefs sometimes involved in the creation of the menus, cruise food has fast become a star attraction. There’s no way your partner will be disappointed, no matter how fussy they are. Again, not true. There’s plenty to do on a cruise, whatever you like to get out of your usual holiday. Whether they’re a thrill-seeker or someone who loves a bit of ‘me time’, there’s something always happening on board. Take a dip in the pool, relax in the spa or take in a show. Enjoy a drink at the bar before trying your hand at the casino, or get their pulses racing in the gym followed by a relaxing session in the spa. The beauty of a cruise holiday is guests can get involved with everything as much as they want, or they can take a step back and watch the world go by. The beauty of this cruise is that, at three nights, it’s a perfect little taster for those yet to be converted into fully-fledged cruisers. Sailing onboard Norwegian Epic, guests can experience the ship’s newly spruced-up entertainment venue, The Cavern Club, which recreates the iconic Liverpool gig venue, alongside Broadway-quality shows that are sure to wow even the most cynical of holidaymakers. 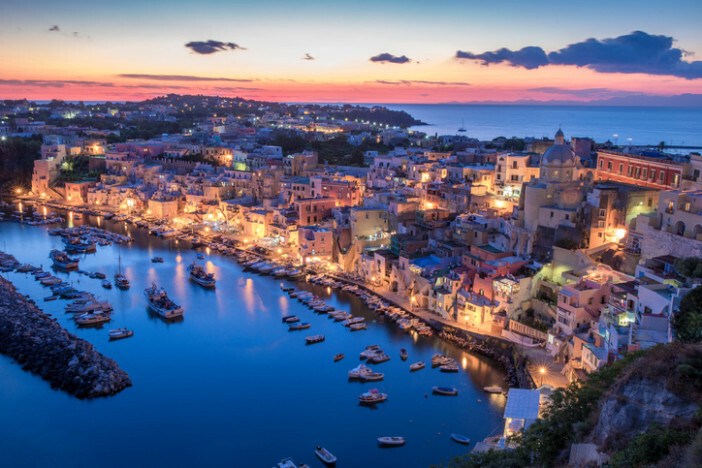 With ports of call in Naples and Rome, guests will also see the best of Italy in all its glory. If your partner is concerned about being bored, there’s never a dull moment onboard this bright and bold ship. Royal Caribbean’s Harmony of the Seas flips the outdated preconceptions of cruising on their head, providing guests with fun, luxury and a plethora of unbelievable new features such as Virtual Balconies, robotic bartenders. Eclecticism is at the heart of Harmony of the Seas, so it’s perfect for exceeding expectations. With a Caribbean itinerary in tow, you’re promised a fantastic mix of days at sea and sun-soaked ports of call in some of the Caribbean’s best spots. If your partner isn’t looking to push the boat out, then Cruise & Maritime are among the best for value-priced cruises. Its fleet of ships are also on the small side which is great if your potential cruise buddy has a hang-up over crowds. Their Fjordland itinerary is a bit more unusual than your typical cruise holiday, but a week in the icy, glacial fjords with the cascading waterfalls, dramatic glaciers and dynamic mountain tops opens you up to plenty of new experiences. For those looking to be well fed during their time at sea, Celebrity Reflection is up there as one of the finest gastronomic adventures that’s setting sail this year. Gourmet is the order of the day here, from the classic French fare of Murano to Qsine’s unique sushi lollipops and popcorn fish to wow your taste buds with every bite. The atmosphere onboard Reflection is relaxed and invigorating, so if they’re looking for something with less hustle and bustle, this is the ship for them. Throw in 11 nights to some of the Mediterranean’s finest cities, and this is a great go-to for first-timers. We hope you’ve enjoyed reading this article. Whether you’re a first-time cruiser or you’re looking to expand your horizons, head over to Cruise1st’s dedicated homepage to view our available cruises or alternatively, give our friendly customer care team a call on 0808 274 6777. 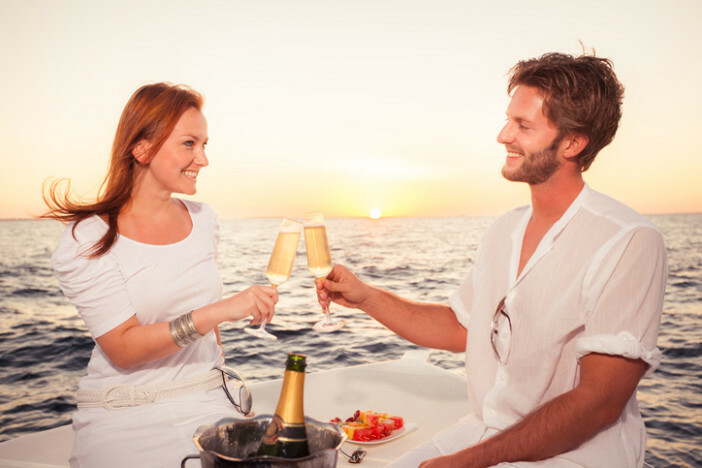 If you're struggling to convince your other half to give cruising a go - we've provided the answers to many of the most common concerns.